Do you know that the Nigeria economy is beginning to diversify towards agriculture? That means in few decades to come major focus will be on agriculture and exportation of its products. There is no hiding it that people are now becoming millionaires by being farmers. Almost all the aspects of agriculture is profitable, whether crops or animals, as long as it is properly done. However one the most lucrative agricultural sector in Nigeria today is plantain farming, from which it has been estimated that farmers could earn N2.5 billion annually. 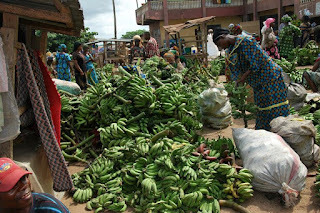 Meaning that a farmer can actually make millions of naira through plantain farming as individual farmer, farmers young and old, are currently making up to N2 to N3 million and even above annually depending on the plantain suckers planted, the size of the land and their proper management. 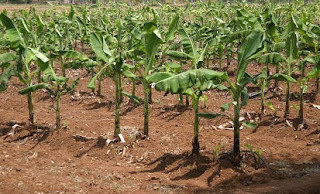 Plantain farming is a low capital agricultural business and almost every Nigerian soil is good for plantain plantation. Therefore, if you have any land with loamy soil, you can start plantain farming it. Let’s say you already have a plot of land, that is good for plantain cultivation, with as low as N50, 000 to N100,000 you can start your small Plantain farm, buy some plantain suckers, prepare you land; weeding, clearing and harvesting, however on a larger scale, with about N350,000 you can have your plantain farm if you already have an acre of land. Plantain suckers are usually sold for N100 or N150, depending on your location and the quantity you are buying. Worthy of note is that after the first batch of harvest your plantain plant would keep producing more fruits till the harvest season is over. So you do the planting once and the rest is harvest every season. Another advantage of this sector is that, the plantain farming business is not yet crowded, unlike some other agricultural farming business, so this is the best time to invest in plantain farming business before it becomes saturated. A bunch of plantain sells between N1000 and N1,500. If for instance, a farmer planted 1000 plantain suckers on his plot of land, with an average of 12.5kg per bunch yield, if one kg is sold at N100 then the farmer will have N1,250 a bunch totaling N1,250,000 at the end of a year. After deducting expenses of about N500,000 (without irrigation), the farmer will have N750,000 in first year. With proper farm management, the farmer will harvest every nine months and have suckers to sell and expand the farm, which will generate more income. Health: There are lots of health benefits of plantain; Plantain is very good for the body, it works on the body sugar levels and helps moderate some other health conditions. 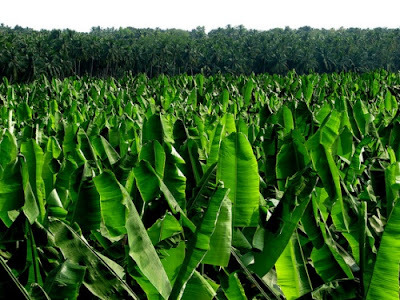 Job creation: With your plantain farm, you may decide not to take up any job as it is lucrative enough to feed you and your family, and you can also take it up as a part time job, as it doesn’t require too much monitoring. 4. Plantain wine: Wine from plantain may be new in Nigeria but not to the world. India is already in commercial production of plantain wine and making millions, Uganda is also doing fine in that area. According to researches, procedures in producing plantain/banana wine and juice is simple and can be done anywhere. Plantain is ranked third among starchy staples in Nigeria. Unlike some other starchy staples whose demand tend to fall with rising income, demand for plantain increases with increasing income and the potential for industrial processing of plantain has recently been adopted. 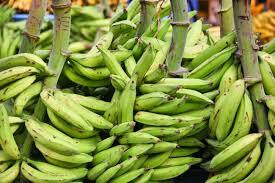 Plantain commands high price with high demand and ready market. Plantain is treated in much the same way as potatoes and it comes with similar natural flavor and texture when the unripe fruit is cooked by steaming, boiling or frying. Plantains and bananas provide more than 25 percent of the carbohydrate requirements for over 700 million people living in Africa. 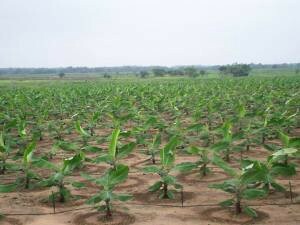 To have a successful plantain farm, you have to get a good land. Loamy soils are the best soils for plantain farming. The organic materials, such as decaying plants and insects, they contain provides the soil with air, nutrients and water-retaining matter. If you have a land you intend to use for your plantain farm that is not rich enough with the right kind of soil, that shouldn’t bother you much, as you can apply organic manure like animal dung to improve the fertility of the soil. Thick vegetation is usually an indication that the land contains the right soil that is rich enough for the growth of plantain. 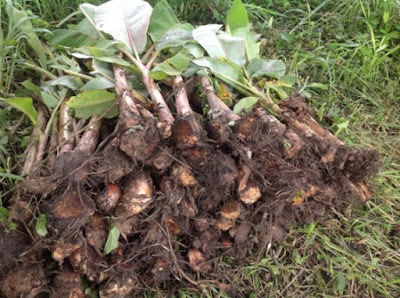 Plantain can thrive very well in an average climate that is neither too hot nor very cold. 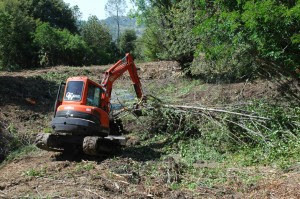 Now that you have leased or purchased your land, or just made up your mind to use that your large space of land for plantation farming, the next thing to do is to clear the land and cut some of the trees if any. You should also clear the stones and stumps. If your land is less fertile, then you also need to apply manure to improve the fertility. Plantain plants grow best in bunches or groups because they protect each other from the harsh rays of the sun. It is important to create an environment where the plantain plants are sheltered either because they are bunched up together or there are other trees to protect them. So, not all trees should be cut from your farm to maintain the humidity of the plantain plantation. These trees protect the plants from excessive sun and enhance humidity. You may choose to use manual labor or employ the use of machines to clear your land for planting (depending on how large your farm land is). However manual clearing is advisable in order that you don’t remove the topsoil with the important organic matter and compact the remaining soil. The recommended spacing is 3 m between the plantain rows and 2 m within the row (in other words. 3 m x 2 m). An alternative is 2.5 m x 2.5 m. If spaced 3 m x 2 m, 1 hectare should contain 1667 plants, but with a spacing of 2.5 m x 2.5 m, it should contain 1600 plants. Rows should be straight in flat fields to give plants the maximum amount of sunlight. However, on sloping land, rows should follow the contour lines in order to decrease soil erosion. When looking for plantain sucker for your new plantain farm, it is always advisable to buy from reputable farmers that can supply you with healthy suckers, free of disease and pest. There are three major varieties of plantain suckers: water suckers, maidenhead and sword sucker. The water suckers are not so ideal to use for plantain farming business. They produce weak plant with low yield of plantain fruits. Your best bet is maidenhead or sword suckers. These varieties produce strong plants that are highly resistant to pest attack; they also have a high level of productivity, and produce healthy fruits. Plantain suckers sells between N100 and N150 in Nigeria, depending on your location. Some farmers would usually give discounts to buyers buying in bulk. Once you buy a healthy variety of suckers it would serve you for many years to come. All you need to do is to get suckers from your own plantation. In transplanting a sucker, cut downwards and get as much corm and root as possible, the bottom should be trimmed properly to facilitate good growths. Give between two to five meters gap between plants and keep the plants moist at the early days. Do not over wet the soil because the leaves are not yet out for much water evaporation. Suckers have to be planted within two weeks. Storage of suckers for more than 2 weeks will adversely affect future yields. 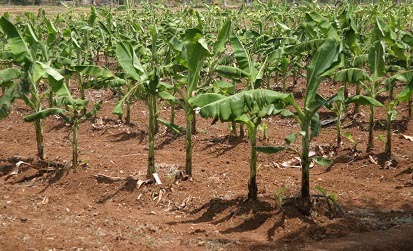 Suckers are planted during mid rainy season, although plantain can be planted throughout the rainy season as they normally grow well during the first 3 to 4 months after planting, and so should not be planted during the last months of the rainy season. Plant holes are prepared with a minimum size of about 30 cm x 30cm x 30 cm. The topsoil should be separated from bottom soil. The sucker should be placed in the hole and its corm covered, first with the topsoil and then with the bottom soil. In the plant hole, the side of the sucker corm which was formerly attached to the corm of its mother plant is placed against the wall of the hole. The opposite side of the sucker’ corm is placed towards the middle of the plant hole, where the soil is loose. Weed and other unwanted plant compete for the nutrient of the soil with the plantain plant; therefore weed control is very important if your plantain must do well. As a matter of fact, your weed management may cost up to 45% of your total cost of plantain farming. You could employ manual labor to help with the weeding or you could make use of chemicals, depending on how large your farm is. As the plantain grows, it is important to protect it from strong winds. It is also important to keep it well watered. You can also sprinkle fertilizers every now and then but mostly throwing the plantain dead leaves back into the plant is enough to sustain the rich quality of the soil. Unlike other trees, plantain do not need complicated pruning. Just remove dead leaves and dead plants near the plantain. Also remove suckers from the plant keeping only one or two that have spear shaped leaves. If you must use fertilizer, use nitrogen, potassium and phosphorous fertilizer. Fertilizing the plantains once a month will stimulate growth. The fertilizer should be placed evenly in a circle that is four to eight feet from the trunk. 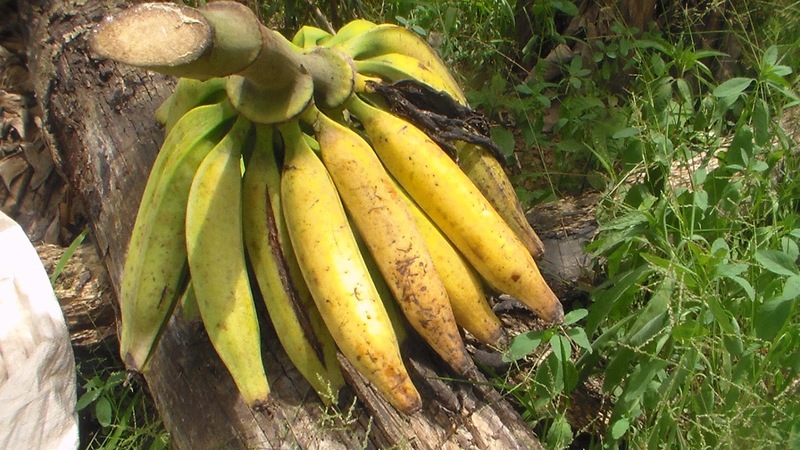 Within 8-10 months your plantain should be ready for harvesting, the interesting part is, as one is getting matured for harvest, another one is replacing it; they continue in that circle removing any stress expenses of planting again. 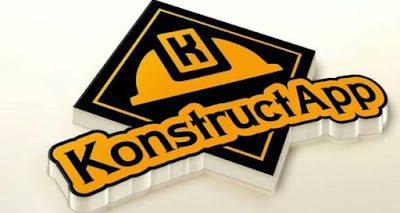 All you do is to harvest and reap your profits all year round. 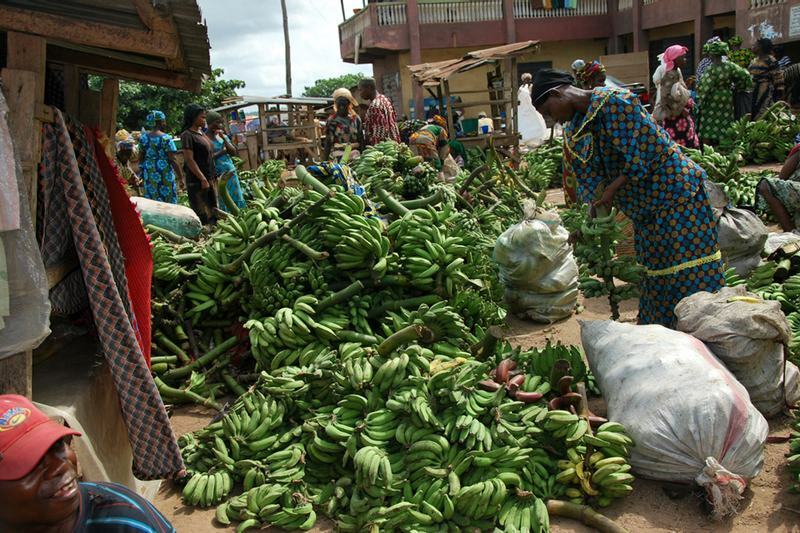 The demand for plantain is on the increase, there is always a market for the product. You could supply to companies that process plantain into flour, plantain chips, plantain wine, and even sell in the local market, you can also export your produce. Starting a plantain farm is not in any way expensive if you have a sizable land. The only thing that you would spend money on is the clearing of the farmland and buying of the suckers for planting, and you may also consider irrigation. For an acre of land, you may spend about N350,000 to have everything done and that includes clearing as the needs may be until the first harvest. Once a plantain plantation picks up, you stand the chance of continuous harvest for the next 20-years or more depending on how you maintain the farm.